How Do You Spell HOD? 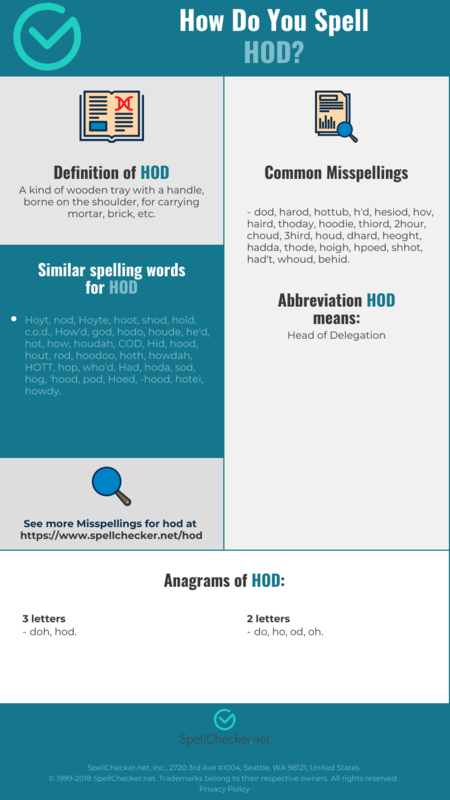 Correct spelling for the English word "hod" is [hˈɒd], [hˈɒd], [h_ˈɒ_d]] (IPA phonetic alphabet). Below is the list of 200 misspellings for the word "hod". A kind of wooden tray with a handle, borne on the shoulder, for carrying mortar, brick, etc. 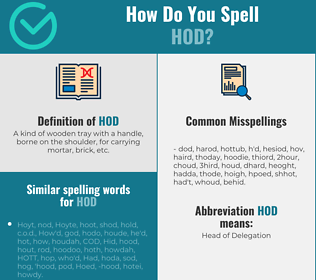 What does hod stand for?